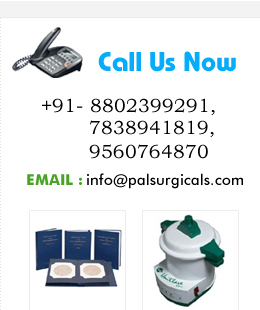 We are one of the renowned manufacturers and exporters of a quality range of OT equipment, electrosurgical unit, cautery equipment, which include Cautery / Electro Surgical Unit: OT-001 / 002/003. these are offered with three user selectable output level cut, coag and spray and the output intensity can be exactly set via stepless control. Further, these are specially designed for E.N.T. Skin and Dermatology. We have in offer for our clients Cautery/ Electro Surgical Unit: OT-001/ 002/003. A regulation from 1 to 10 is permitted by this unit PAL 100E, which further permits sure and simple application. 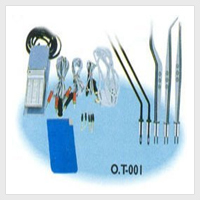 The 100E electro surgical unit comprises an extensive array of electrodes and two holder handles in which one is for fine electrode and the other is for the optional electrodes. In addition, it has three output levels i. e. cut, coag and spray, which are user selectable and intensity of output can be precisely set via step less control. Moreover, it has a separated outlet for coagulation of spray and is especially designed for ENT, dermatology and skin. Frequency: 400 ± 25 Khz.